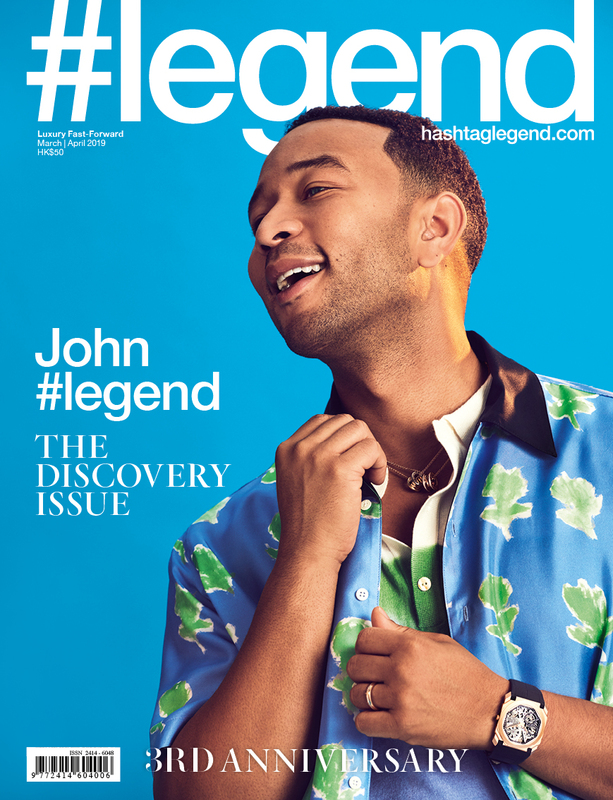 The most influential names making waves throughout the fashion world, from CEOs to models and designers – these are the ones you need to know, selected by #legend’s editors and directors. Overseeing the international elements of Comme des Garçons and Dover Street Market, he’s helped to turn them both into household names while keeping their avant-garde DNA intact. Playful, mad, bizarre, daring – these are the qualities Michele has cemented within Gucci and the results speak for themselves. This millennial is taking over the luxury world, continuing the LVMH family legacy with his digital prowess and business acumen. Increasing Saint Laurent’s sales by almost 30 per cent in his first year, Vaccarello has revived the house’s chic, sensual and sophisticated heritage. A body-image activist, Graham is one of the most powerful catalysts for body positivity and is rapidly changing the industry’s notions of beauty. Former model of the year, everything this Bulgari ambassador touches turns to pure sartorial gold. Case in point: these ’90s micro-sunglasses frames. The duo have changed the way fashion is consumed, championing emerging designers and reinvigorating LVMH brand Kenzo with playful style. China’s most pre-eminent visual artist of the modern day injects Eastern elements into her projects, which straddles the worlds of fashion and artistic imagery. Better known as CL, this K-pop and rap phenom has taken the world by storm with her bold looks and daring fashion; she even performed at the recent Winter Olympics. She pioneered #ootd and turned her style-obsessed blog into a multimillion-dollar fashion and lifestyle media empire. Givenchy’s first female creative director is bringing the brand away from haute-goth and into the era of the chic, urban woman. Her handwriting defined Gucci’s autumn/winter 2017 collection and captured the attention of fashion’s elite – keep an eye on this one, she’s going places. The fashion-darling footballer with the face of a model and the brains of a businessman has revolutionised the masculine aesthetic for straight men everywhere. Never afraid to break the rules, the Georgian designer is known as one of the industry’s biggest disruptors, reinventing the mundane with his extraordinary approach. These two are keeping their eponymous brand at the forefront of fashion, tapping into the millennial market with flawless prowess. Muse turned designer, she has brought the family brand international acclaim with her unapologetic celebration of the opulent. A fashion collaborator with impeccable taste, this Canadian rapper epitomises effortless cool and fearless fashion sense. From luxury labels to street, he embraces it all. The thinking woman’s designer, he maintains a timeless freshness by combining high and low, modern and old, and humble and luxurious. Hong Kong actor and singer who co-founded streetwear brand Clot, which bridges the gap between Eastern and Western street style and recently debuted at New York Fashion Week. As director of fashion partnerships at Instagram, she shapes fashion by helping the community tell their stories better through the digital platform, with savvy writing on the side. A business genius with a mind for fashion, Marchetti is the founder of Yoox Net-a-Porter – and known for always being one step ahead of the rest. At the head of Kering, Pinault has restructured one of the most powerful international luxury groups, repositioning it as one of the leaders in the market. A tour de force of fashion, the K-pop mogul from Big Bang doesn’t shy away from the extreme and has only just begun to dabble in the creative side. A supermodel with a powerful social media following, she’s one of fashion’s most potent It girls of the moment. A vastly talented multi-hyphenate, he’s often regarded as one of the most interesting designers of the decade. She shot to worldwide acclaim after designing Rihanna’s Met Gala gown and continues to be one of China’s most powerful fashion presences. The mastermind behind Vetements, he consistently breaks from tradition and his unconventional attitude is paying off dividends. The award-winning visionary from Colombia, his designs embrace cultural differences in a celebration of contrasts and modern cuts at Berluti. Photographer and fashion designer Slimane was known for putting Dior Homme on the map; he revitalised Saint Laurent before taking a hiatus from fashion and was recently named Céline’s new creative director. The godfather of Tokyo streetwear, this musician, producer and designer started a revolution with his first label, Good Enough, and has influenced the style scene since. The Dutch duo were amongst the first to embrace digital photography and have been leading the pack since with their distinctive images. From celebrating the dark side to embracing technology, her work is consistently forward-thinking and technically impressive. Actor Will Smith’s son is creating a fashion legacy, leading the next generation of style stars with his bold, gender-fluid aesthetic that always defies expectations. He’s grown the infamous streetwear label Supreme from humble shop to international powerhouse, and is constantly redefining the norm. She runs luxury fashion retailer The Lane Crawford Joyce Group, overseeing its work in fashion, beauty and accessories in addition to special projects. One of the most prolific designers of our time, he puts out innovative and challenging collections for both JW Anderson and Loewe. The founder and editor-in-chief of Berlin-based publication and lifestyle brand 032c, Koch is at the forefront of young, cool media. The man at the forefront of normcore, he brought Scandinavian minimalism to the masses with interesting, functional and simplistic designs at Acne Studios. A leader in today’s e-commerce world, he changed the game with his innovative model at Farfetch and continues to shape the industry. A giant in the Japanese fashion scene, he effortlessly straddles the space between surreal couture and streetwear at Undercover. She continues her mother Cindy Crawford’s legacy, quickly rising through the ranks to become one of the industry’s sought-after models. Whether you think the Chicago hip-hop force is mad or brilliant, he certainly delivers – selling out collections in moments and packing fashion shows. The most recognisable face in the industry, he brought Chanel into the future, turning it into one of the most enduring brands of the century. Her international public relations company has the most extensive range of offices worldwide and some of the most desirable clients. Under his guidance, Adidas has flourished, becoming one of the most fashionable and desirable companies on the market. This British stylist and fashion journalist launched the magazine Love to great success in 2009. A queen of social media, she’s the industry’s most coveted face and one of the most in-demand models of our times. The former artistic director for menswear at Louis Vuitton was the mastermind behind collections including the acclaimed Supreme collaboration. Dior Homme’s creative director also designs for his own eponymous brand and has been a top menswear designer since his career started. One of China’s top celebrities, Wu is making his musical debut in the West via a breakthrough song with American rapper Travis Scott. The youngest of the Kardashian-Jenner clan, she’s a beauty entrepreneur and just welcomed a baby girl with Travis Scott. The second daughter of Samsung chairman Lee Kun-hee, this graduate from the Parsons School of Design runs the Korean conglomerate’s fashion divisions. The founder of Palace Skateboards is a mainstay and built the London-based cult label into one of the biggest streetwear brands today. After founding Yoho! as a lifestyle magazine in 2005, he’s expanded the Chinese company into an e-commerce, media and event platform for China’s youth culture. Tmall’s general manager is responsible for one of China’s most influential fashion e-commerce platforms. The American designer of his eponymous brand has built his label into one of fashion’s global powerhouses. The Australian photographer made her mark with her fashion blog and is now getting into filmmaking. Previously co-designer for Valentino with Pierpaolo Piccioli, Chiuri was hired by Dior in 2016, replacing Raf Simons. The CEO of Nike, Parker has been at the helm of the sportswear company since succeeding Phil Knight in 2006. Melvin and his Ink Pak group are behind some of the biggest branded events in China, working with the likes of Giorgio Armani, Louis Vuitton and Burberry. Two of the world’s biggest fashion photographers have shot for the likes of Vogue, Interview, W Magazine and more. One of the top American designers, his eponymous brand has grown to become one of the biggest fashion brands in the world. Head designer of Prada and founder of Miu Miu, the Italian designer is also co-CEO of Prada with her husband. Louis Vuitton’s artistic director of women’s collections, he’s brought the French fashion house back to the forefront with his energising creations. Better known as Gary Pepper Girl, the Australian blogger has been at the forefront of fashion. The Japanese streetwear icon is the founder of A Bathing Ape and is also a DJ and entrepreneur; he also founded Billionaire Boys Club and Ice Cream with Pharrell Williams. Balmain’s creative director was appointed to that role in 2011 – when he was just 25. A backstage mainstay, McGrath is a celebrity make-up artist and just launched her eponymous brand. Collins is a Canadian photographer, artist and model who’s known for her ethereal, dreamy work. The German designer is known for his flashy designs for his eponymous brand. The founder and designer of his brand 3.1 Phillip Lim, the American designer has built his label into a commercially successful brand. The British designer recently announced her departure from Céline, where she had served as creative director since 2008. The Italian designer was co-creative director at Valentino with Maria Grazia Chiuri until she was appointed at Dior; now, he’s the sole creative director for the brand. Artistic director of Hermès, Dumas has led the brand to its biggest growth in decades. The Belgian designer is now chief creative officer at Calvin Klein, helping revitalise the American brand. The acclaimed US fashion designer is chief creative officer of his eponymous label, which is known for its Americana style. The reclusive Japanese designer is founder of avant-garde labels Comme des Garçons and Dover Street Market. Liu is the founder of JD.com, also known as Jingdong, one of China’s leading e-commerce platforms. Founder and designer of his eponymous label, Owens is known for his dark and avant-garde designs. One of the biggest celebrities in the world, the singer launched her make-up brand, Fenty Beauty, to raving reviews. The founder of Kith, Fieg built his own streetwear empire – a multi-brand e-commerce emporium with its own in-house label. Group managing director and a deputy chairman of the Fung Retailing Group, through its subsidiary Trinity Limited she oversees fashion brands such as Gieves & Hawkes, Kent & Curwen and Cerutti 1881. The creative director of Jimmy Choo, Choi was the brand’s first employee and took over the reins after the departure of Tamara Mellon in 2011. The co-founder of I.T (with his brother), Sham’s retail giant has grown from a single storefront in the late 1980s into one of China’s main retail players. The co-founder and designer of experimental label Sankuanz, Zhe is one of China’s most exciting up-and-coming designers. Hong Kong actor and singer who founded Common Sense (CMSS) in 2010 before launching streetwear brand Madness (MDNS) in 2014. The founder of Hood By Air, Oliver put that label on hiatus now that he’s designing for Helmut Lang. The creative director of accessories and menswear at Fendi, she’s responsible for the Baguette bag. Founder and designer of her eponymous label, McCartney recently introduced menswear to the brand. One of the world’s top menswear designers, Browne has built his brand to encompass womenswear and accessories. The British couple co-founded Matchesfashion and led the company to become one of the world’s top e-commerce platforms before selling their majority stake to private equity firm Apax Investments in September 2017. The fashion designer and entrepreneur launched her eponymous label, helping to define the modern American woman’s style. One of today’s top commercial photographers, Lebon has shot for the likes of Calvin Klein, Nike, Supreme and Loewe. Japanese style icons, this duo founded Ambush Design and are seminal figures in fashion and music. A pop star turned premier fashion designer, Beckham launched her eponymous womenswear label in 2008. Kanye West’s creative director for 14 years, Abloh branched out on his own with Pyrex Vision and Off-White. One of fashion’s top photographers, Vanderperre is a frequent collaborator of Raf Simons as well as a number of top fashion brands and publications. The acclaimed Japanese fashion designer founded his eponymous label in 1981 and is known for his avant-garde tailoring.